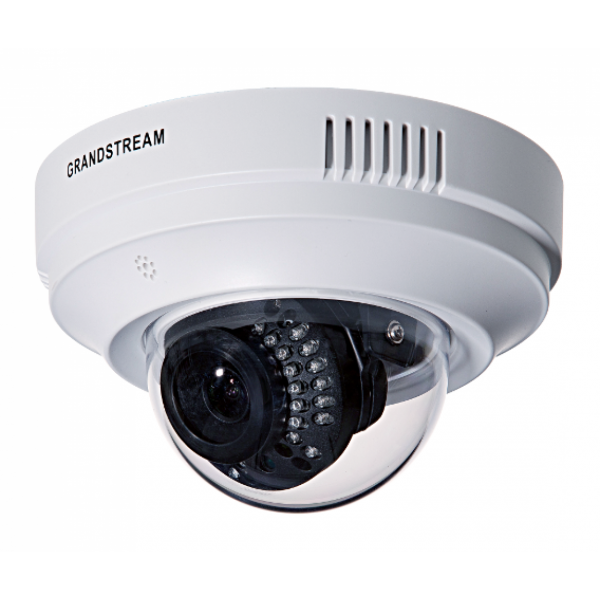 The Grandstream GXV3611IR_HD is an Indoor Infrared Fixed Dome HD IP Camera with a 2.8mm lens. 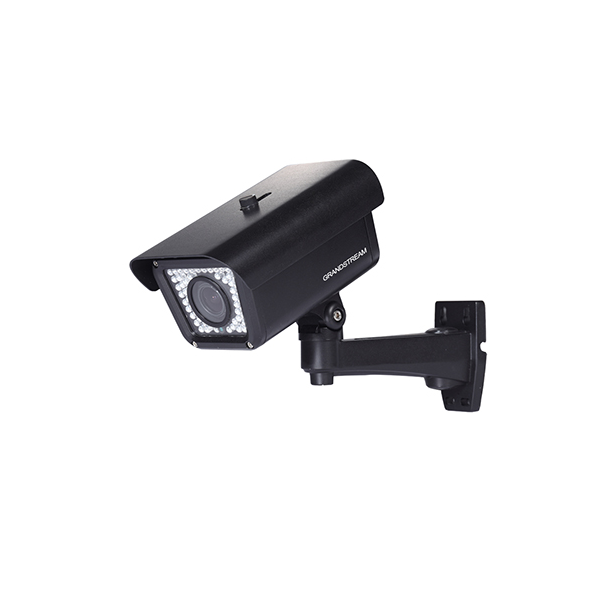 The GXV3611IR_HD is deployable in home and small office deployments among many other environments. 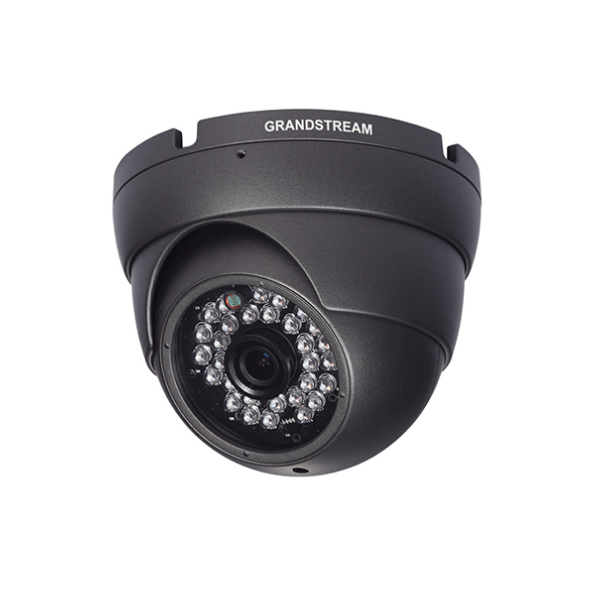 The Grandstream GXV3674_HD is an outdoor day and night IP camera with a vari-focal (VF) lens and PoE capability. The GVR3552 network video recorder (NVR) offers small-to-medium businesses and residential users a dedicated and reliable solution for centralized IP video surveillance recording and monitoring. 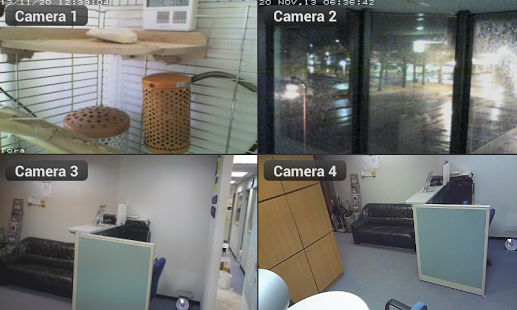 It provides video recording, indexing, searching and video storage management for up to 16 IP video cameras to allow users to record and monitor their IP video surveillance network using one device. The GVR3552 can be viewed and managed by connecting it directly to a TV or computer monitor or through the web user interface. Users can view the live feed of up to 4 cameras simultaneously and can save space on the device by easily connecting up to 2 hard drives using the easy to access hard drive tray. 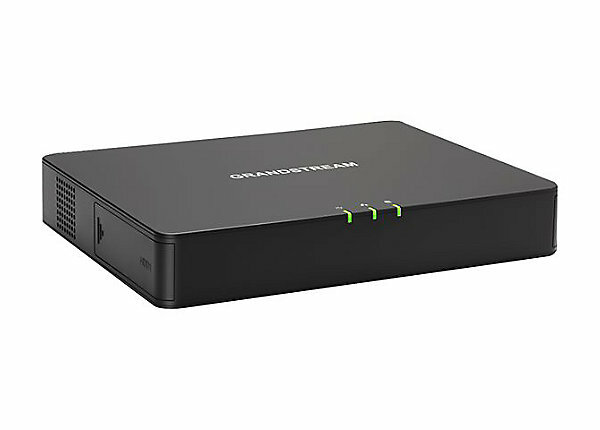 Last but not least, Grandstream’s newly upgraded and free version of their GSurf video monitoring/recording management software is for use with their GXV IP surveillance cameras. The new GSurf Pro video management software controls up to 36 cameras at once, let users connect all IP cameras directly to a server, and be able to view/control the cameras by running GSurf on any computers with the server network. Other features include advanced alarm and notification settings, electronic map, search, playback, PTZ controls and more. GSurf Pro is available for download on Grandstream’s website here. Tel-Systems offers a variety of Services. We have trained and Certified technicians to make sure your installation will move smoothly and effectively without any interruptions. © 2018 Tel-Systems All rights reserved.